We are advancing and enhancing the fundamentals of modern productivity— talent, efficiency, and safety. Day & Zimmermann helps industrial plant owners in the Nuclear, Fossil, and Process industries lower their total cost of ownership by delivering innovative engineering, construction, and maintenance services and solutions. Day & Zimmermann plays a vital role in the defense sector by manufacturing, storing and demilitarizing a wide variety of ammunition products and providing related services to customers in the U.S. government and approved foreign countries. We are an integrated provider of global security, critical infrastructure solutions, and architecture and engineering services to the U.S. Government and commercial clients. We provide the talent needed for the jobs and projects critical to our client’s success. Day & Zimmermann was awarded engineering work at a specialty chemical manufacturing company and provided preliminary P&IDs, piping and valve specifications, along with electrical and instrumentation design. The best way to learn about life at Day & Zimmermann is to hear from the people who are living it. Meet the people behind our success. 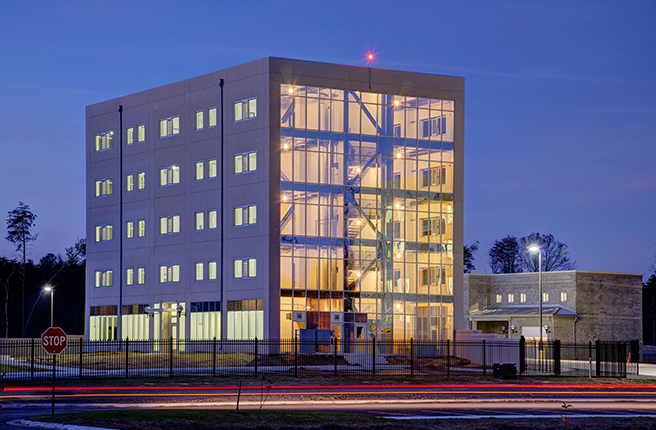 Mason & Hanger, A Day & Zimmermann Company, performed architectural and engineering services for this new 426-acre campus built to test new Tactics, Techniques, and Procedures (TTPs) to meet the asymmetric threat that soldiers find on the battlefield.